I titled the post “Innovation Management”, but I intend to focus as much on the activity as on the underlying system. While innovation management is the name we use in our just released Social Business Taxonomy (IDC Doc #230541, currently subscription required, but shortly will be posted here). I’m a little wary of using “management” as a part of a market name. 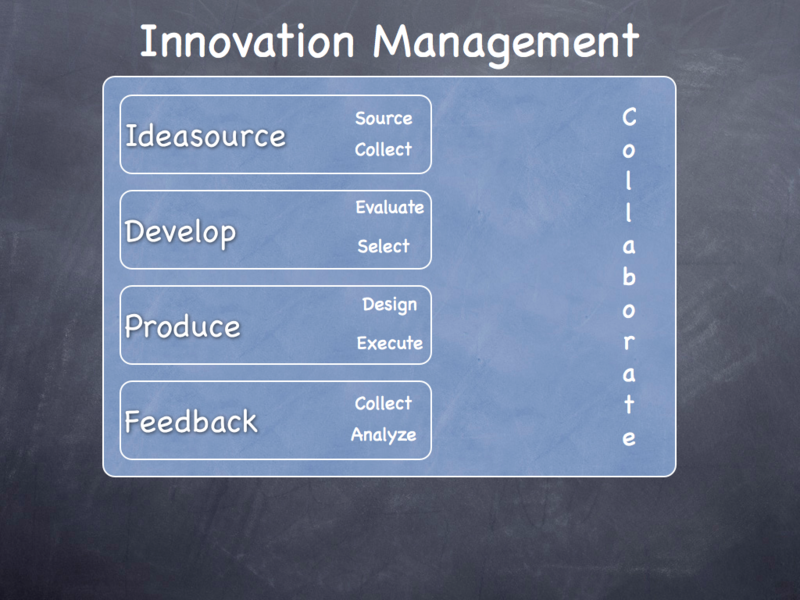 I think we maybe need less “manage” innovation and more “doing” innovation. It’s like content management, while management is what most of the systems end up doing, what we’re really trying to do is “share” the content. We should have called the systems content sharing or maybe content liberation software instead. The same is true of knowledge management. Traditionally people “managed” information (and its flow), which effectively meant that certain people controlled or hoarded the information and others did without. In a “knowledge is power” environment this might be the norm but in today’s “knowledge sharing is power” environment, its not acceptable behavior. We need a culture of knowledge “sharing” and an underlying system that enables it, not a knowledge hoarding system and culture.Anyway, I’m rambling, the point is to talk about effective innovation processes and outcomes. This topic has always interested me and I’ve written quite a bit about it, particularly around continuous or incremental innovation versus discontinuous or disruptive innovation. How should a company approach innovation? Innovation is rarely the product of accidental discovery, it is more often the outcome of a defined process. Before looking at the parts of the innovation process though, it’s important to clearly define what the organization means by the phrase innovation and agree on the process itself. Innovation and the innovation process varies by industry and by company so having a clear corporate understanding is essential. Also often companies target innovation processes only on R&D or product / service development, ignoring the other areas in the business that would benefit from the innovation process. Also having the best innovation management processes in the world won’t cure a culture that isn’t open to or desirous of innovation, nor will it change a management style that is not open and conducive to innovation. It seems like we’re always going back to these two issues in social business, culture and management style can facilitate the process or prevent it, and leadership is essential for the success of any innovation program. Some companies now have a chief innovation officer, while I think that’s a great idea to put that much focus on innovation, I’d suggest that in effect, the CEO needs to either fill that role or be a very vocal supporter. The innovation process, in it’s most basic form, is composed of four phases, each with two sub-processes: 1. Ideasource, 2. Develop, 3. Produce, 4. Feedback. While all parts of the process are important, I think there are a few places where critical choices in approach can have dramatic impacts on the outcomes. I should say first, though, that I don’t think this is a “one size fits all” kind of discussion, there are several options and what works best will vary by company, product, customer type, geography, culture (both company and broader society), maturity, timing, etc…even innovation type (incremental, discontinuous or business model). Sourcing and collecting the ideas may seem like straight forward steps but in fact this part of the process is under a lot of pressure today. The Internet and the evolution of the social web, with it’s myriad of new communication channels and legions of empowered people, is causing companies to reexamine both how the data is collected and who is involved. 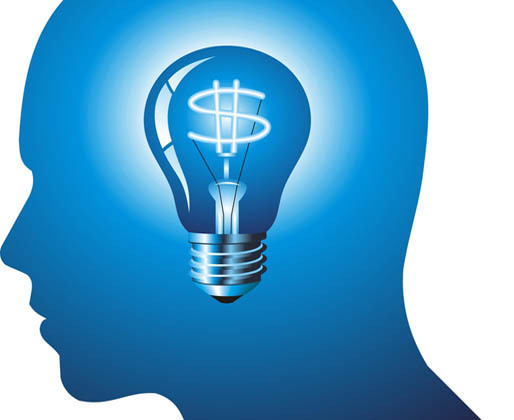 Collecting the ideas isn’t complex, although it is an area where technology is providing some much needed innovations. In traditional models ideas generation often came from the product strategy / marketing / management team, which in even the largest companies, is a limited subset of the companies employees. They were tasks though, with somehow coming up with ways to align those ideas with the needs and desires of customers, which often took the form of focus groups, surveys or some other way to provide a representative sampling. The process of establishing requirements was fairly contained and not particularly open. The Internet offers companies the opportunity to involve a broader group of people in the process and substantially increase the sample sizes and constituents for input. In other words, in a hyper-connected global ecosystem companies can tap into employees, customers and partners and involve them in the ideasourcing process. Crowdsourcing, or spreading the source of innovative ideas across a much broader population of engaged constituents can provide powerful results. In ideasourcing diversity of ideas can add a great deal of potential to the process. The term “engaged” is critical to though, as sourcing ideas from the general population for most companies is not a workable idea. The more involved and engaged your constituency the more likely you are of success. In some cases the opportunity for involving partners or customers might extend to a deeper and more involved approach referred to as co-innovation. The concept is to actively partner with a constituent in more than just ideasourcing, but to extend that interaction throught the entire innovation process. I wrote about it here, so I won’t go deeper into the concept now. There’s a related subject that is also getting some attention these days, open innovation. The term is sometimes used to mean having an innovation process that uses available, outside knowledge, ideas, products, etc. to jumpstart or shorten the innovation process. This is closely related to co-innovation and in fact, either might involve the other. I’ve also heard the term used to represent collaborative innovation, although, to me, that’s the same thing as co-innovation. Is the idea tied to a business objective? What type of innovation would be required to implement the idea? Does the idea have potential future value (can it be created and if so, will it be profitable)? Can the idea be implemented or tested (rapid validation) in a reasonable amount of time? Do we have the resources available to implement the idea? Is the idea aligned with corporate culture and corporate conscience? Is the idea adjacent or a part of the current product / market? I’m sure there are other relevant questions, it varies by company. In the produce phase the idea is ready to be designed into an actual product / service. This should be a part of the companies core competencies so we won’t spend time on it. I will add though, that it’s very important to ensure that you have a way to make sure that the designer has access to and is tied to the specifications from the ideation process. Feedback is the “final” phase, although, as a practical matter the innovation process is actually continuous. Capturing market reaction / feedback is ongoing and feeds back into the overall idea funnel. Taking feedback, conducting analysis and then taking some action based on the feedback are all a part of the process. I’ll also stress that it’s very important that this process be transparent and that companies update the feedback with its progress. Collaboration is the underpinning of a modern innovation management process. I mean people-centric collaboration too, not just effective file control and management. This is where the social aspect of the new innovation process is most obvious and where new tools can make a huge difference in a companies ability to be successful. Any system for managing innovation must also tie into or provide collaboration capabilities with the ability to bring all constituents together in a secure environment. Implementing a successful innovation process can be facilitated by selecting the right underlying tools to make the process flow and tie together. I’ll save discussion of specific systems to a future post but one tool is so critical I want to discuss it a bit. The overall innovation process is really a complex and ongoing project or actually, a portfolio of projects. It is essential then, to have a well document and systematic way of managing a portfolio of projects, which by default then, requires an underlying project management / portfolio management solution. This is a long post, so I’ll end it here, even though I’m sure I’ve missed something. It’s a broad subject and something that I’ll revisit again in the near future. Please provide additional ideas and suggestions in the comments. Innovation is mostly the outcome born of necessity. Man by nature is never satisfied. This is why we must constantly innovate. In a company, everybody must have a hand in coming up with innovation. It’s good that you pointed out a need to manage innovation.